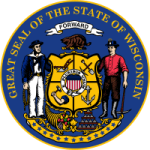 The statutes, in chapter 767, provide laws that are used by judges and child support agencies in Wisconsin to enforce and settle child support disputes. It helps to provide a way forward for parents who want to contribute to child support, file a complaint, enforce child support orders and calculate for child support. All these are made possible when you visit those guidelines. Also, the courts are awarded the authority to reach conclusions depending on the case bought forward while adhering to the set laws.